Presented by Sheffield Fringe, Concrete Futures brings together films that deal with fiction and imagination, inviting encounters with speculative futures, which are nonetheless grafted onto the present, ‘documentary’ moment that haunts them. 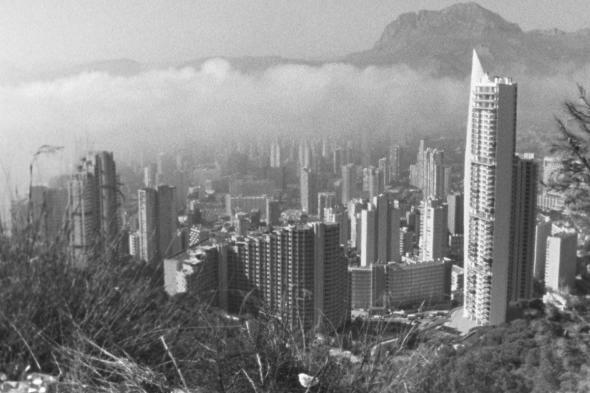 Moreover, through the use of images as documents and as drivers of the imagination, Serbian, Angolan and Spanish cityscapes are connected in a type of speculative haunting. This haunting is expressed in the superimposition of images of construction and evacuation, of tearing down and rebuilding. By tearing down or leaving behind, old sites are revealed. And by rebuilding, one does not construct anew but instead returns to the terrains that already were there. In that sense, no conquering – symbolic or concrete – of lands or, for that matter, of our imaginations and affections, will ever be truly a form of building but instead remains haunted by its own violence. The screening is followed by a discussion with Jasmina Cibic.